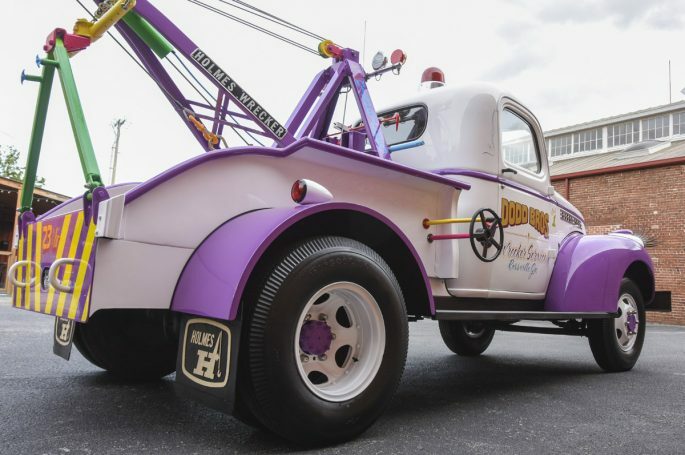 (Words and photos by Tommy Lee Byrd) – Vintage tow trucks register pretty high on cool factor, and while the first impression of this colorful wrecker might have you scratching your head, trust us when we say that the wild colors have a purpose. 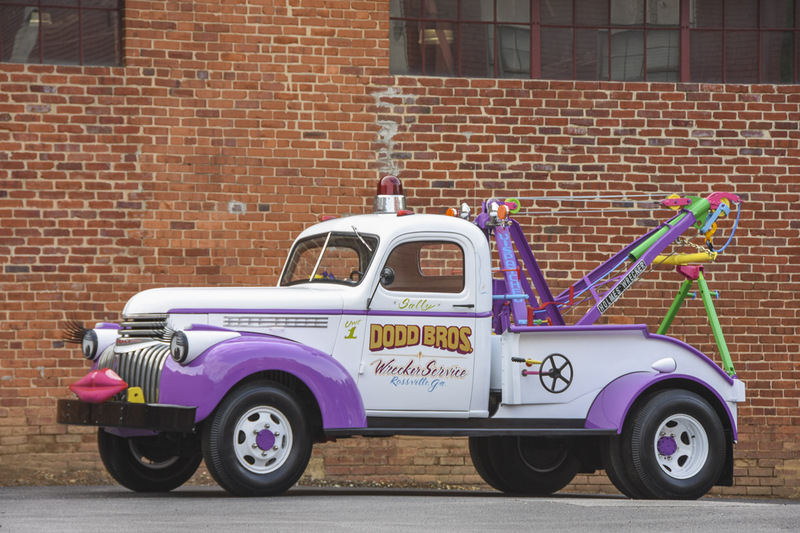 Though it still has all of its Holmes 330 Junior wrecker equipment, this retired 1941 Chevrolet tow truck won’t be hauling a broken-down car anytime soon. 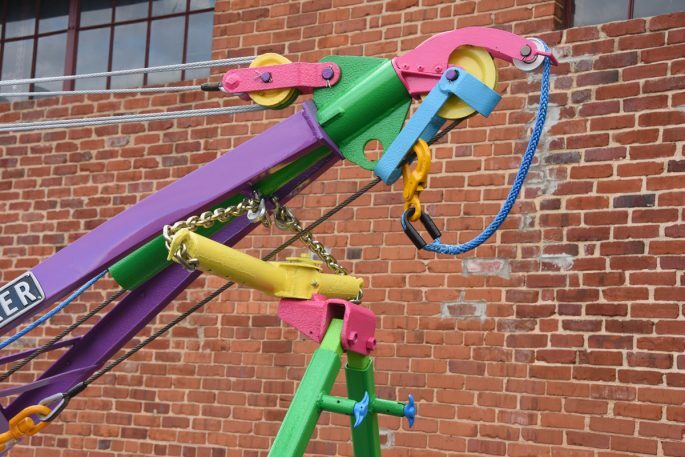 It has a much more important job to do, as it will be a permanent interactive display at the new Children’s Hospital at Erlanger in Chattanooga, Tennessee. As of just a few weeks ago, this beautifully restored truck was lifted into the second floor of the new hospital building, where it will be on display. Hospital stays are never fun, especially for a kid, so the Children’s Hospital at Erlanger is going to great lengths to offer delightful distractions to keep those kids smiling. 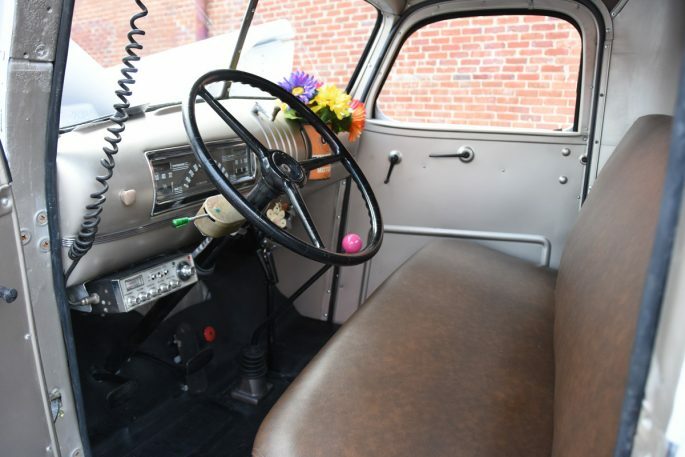 Other vehicles will be placed on other floors, but we wanted to share this one, because of its awesome history and connection with the local community. To do so, we need to turn the clocks back to 1950. Jasper Wiley Dodd (J.W.) 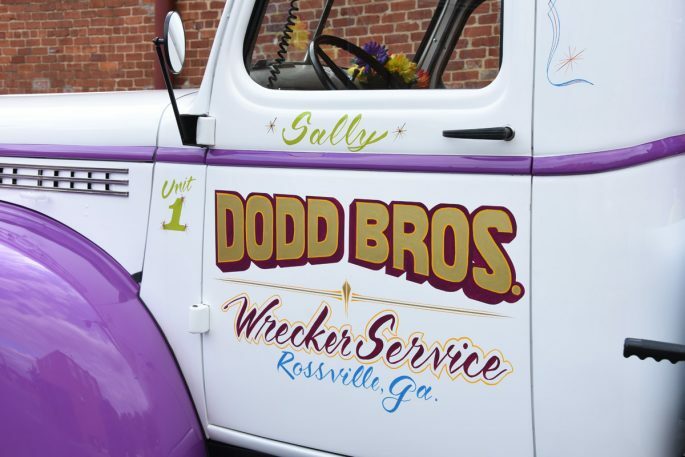 and his brother Bill Dodd started the Dodd Bros. Gulf Service in Rossville, Georgia, just south of Chattanooga, Tennessee. Around this time, J.W. also met his soon-to-be-wife at Erlanger hospital, and she was one of his biggest supporters. While brother Bill went on to pursue a career with the Georgia State Patrol, it left J.W. to run the service station. In this era, many service stations also had a wrecker service, and in 1955, J.W. Dodd put his first wrecker into service. 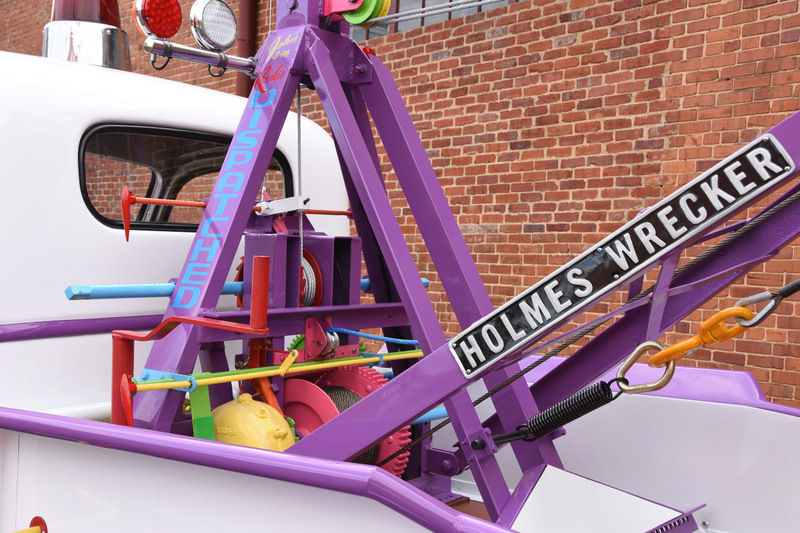 It was this Holmes 330 Junior wrecker, equipped with a 235ci inline six-cylinder engine and four-speed manual transmission. 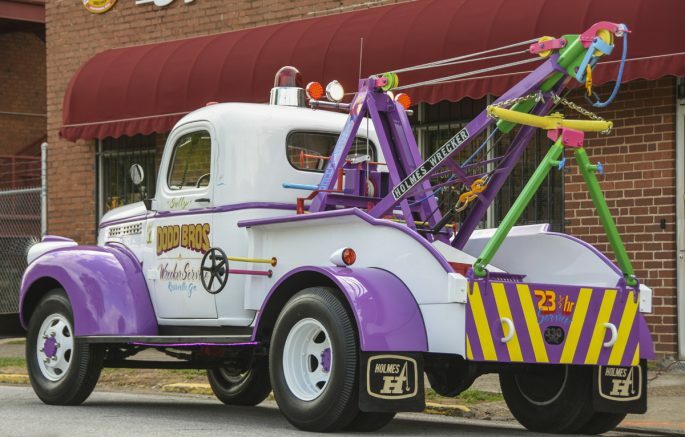 Compared to today’s powerhouses, this wrecker is ancient technology, but J.W. had a “get it done with what ya got” mentality and he used it until 1969. As the service station and wrecker service grew, J.W. became known in the Fairview community. He was known for his generosity, and his son Mark recalls him always buying people a Coke to drink and giving kids Tootsie Rolls. And while J.W. passed away in April 2017, his legacy lives on with his first wrecker. 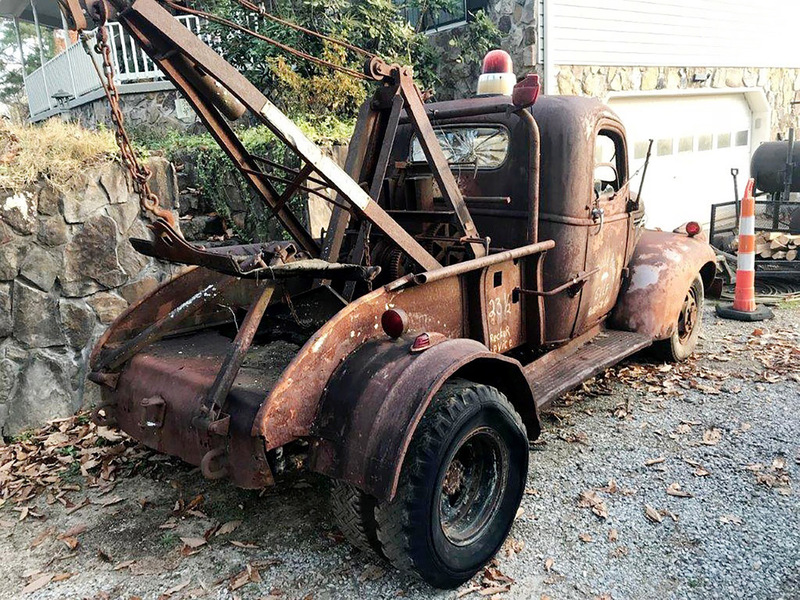 At the time of J.W.’s passing, the Dodd family didn’t have a plan for the dilapidated wrecker, which had been sitting outside since its retirement in 1969. It was rusty and rotten, but was always a conversation piece for the family, friends and community. 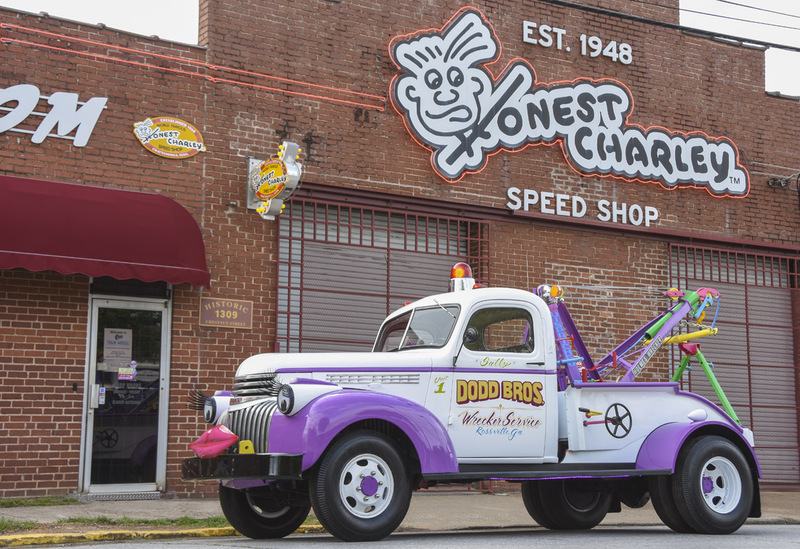 Late in 2017, Mark Dodd was presented with the opportunity to donate his father’s old wrecker to the Children’s Hospital. It was time to get to work! The frame had been bent, broken and repaired, but that was commonplace for the era. Dodds Bros. “23-1/2-hour service” was a slogan that was supposed to be tow truck humor, but you can bet that this truck was running the roads all hours of the day and night during its years of service. This left little time for repairs, so the old truck soldiered on, even with some lackluster repairs. You could say that J.W. had the same experience, as he was badly injured in an accident in 1965 while recovering a car. The doctors told him he’d never walk again, but with the help of a leg brace and years of working through the pain, he proved them wrong. And while he endured more pain that most people can imagine, he didn’t complain about it or use it as a reason to fold up shop. J.W. was tough as nails and worked 12-hour days 6 days a week until he passed away at the age of 89. 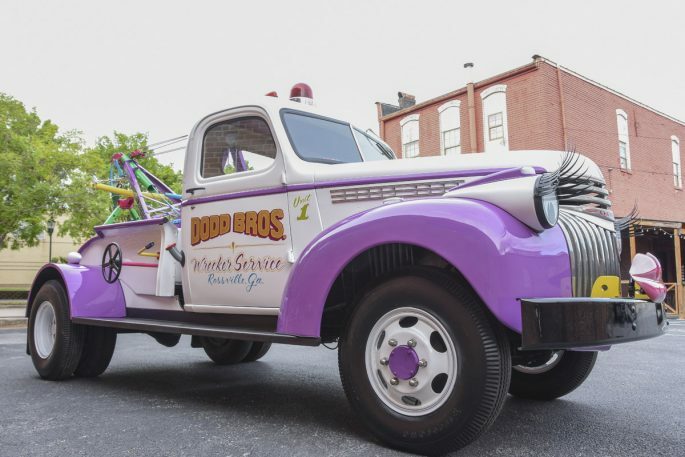 Today, his son Mark Dodd runs the wrecker service. 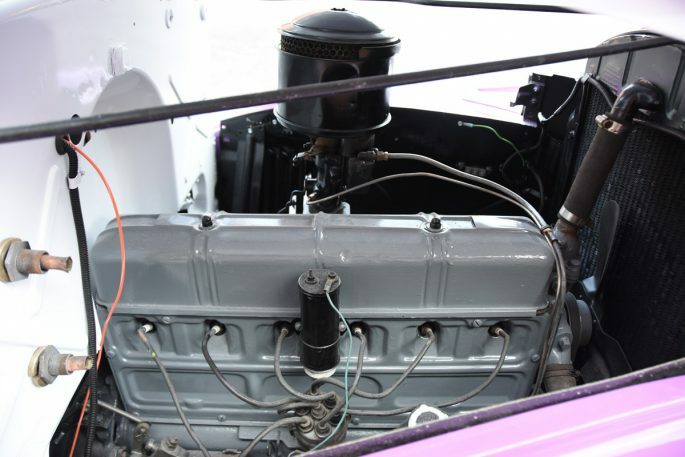 Jeremy Tankersley, Mark Dodd and Terry Aiken worked night and day to restore the chassis, body and Holmes wrecker equipment, while Richard “Ratchet” Pope provided moral support and handled the fabrication of the wood bed floor. 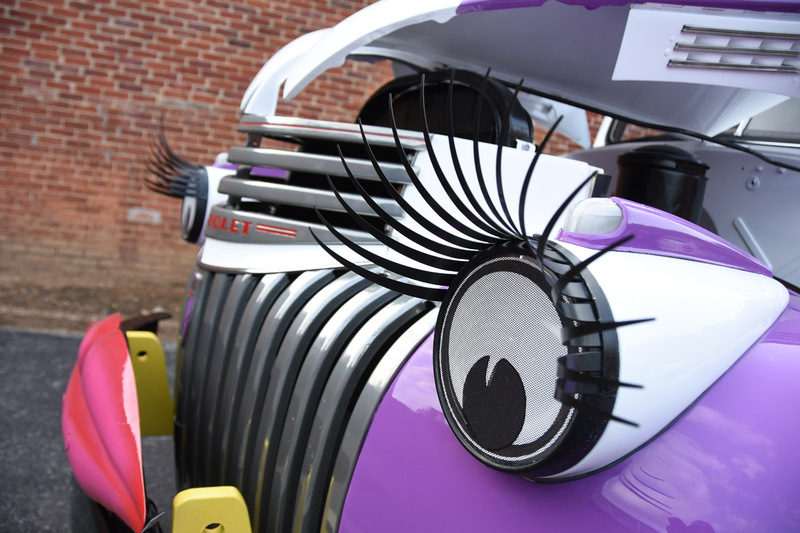 Henry Johnson handled the bodywork and paint, applying white to the cab, hood and bed sides and purple on the fenders and various details. Why purple, you ask? It goes back to the Dodd Bros. Gulf Service, and “Gulf Crest Purple” represented the top tier fuel sold at Gulf Service stations in the 1950’s. Byrd’s Automotive in Chattanooga, Tennessee provided the paint and auto body materials for the project. 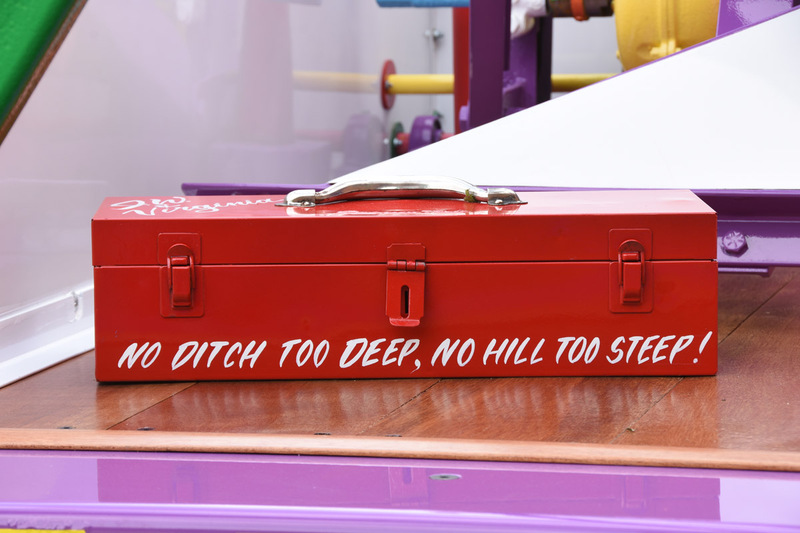 Vance Dobbins did the hand lettering, including the Dodd Bros. tagline, “No Ditch Too Deep, No Hill Too Steep!” on a vintage tool box mounted to the wood bed floor. 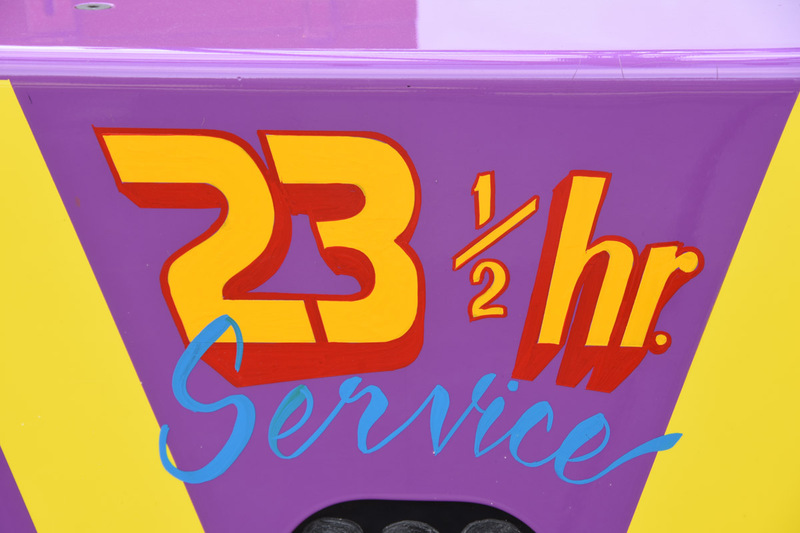 Also hand-lettered on the door is the name “Sally”, because the folks at the Children’s Hospital wanted the wrecker to appeal to girls and boys alike. That also explains the eye lashes and lips. 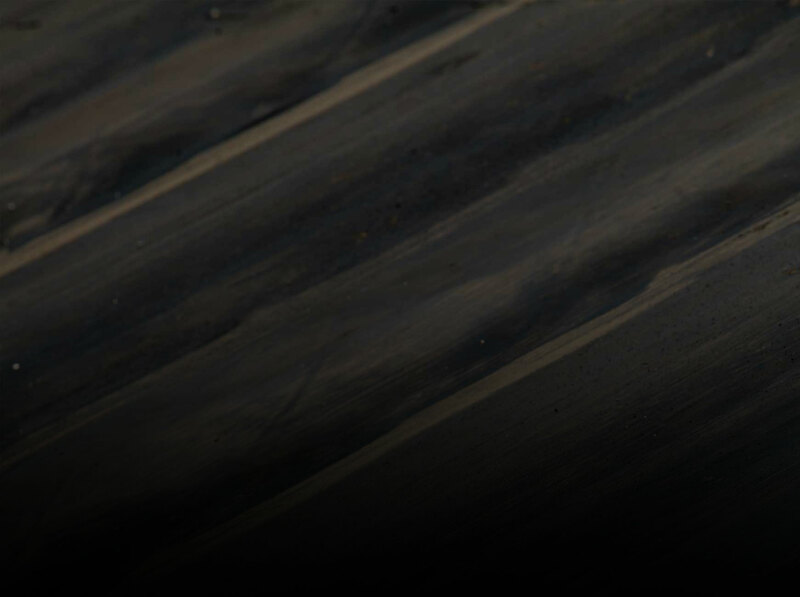 To get the vintage truck rolling, Jeremy contacted local tire manufacturer, Coker Tire for a set of period correct Firestone commercial truck tires, sized at 750-16. 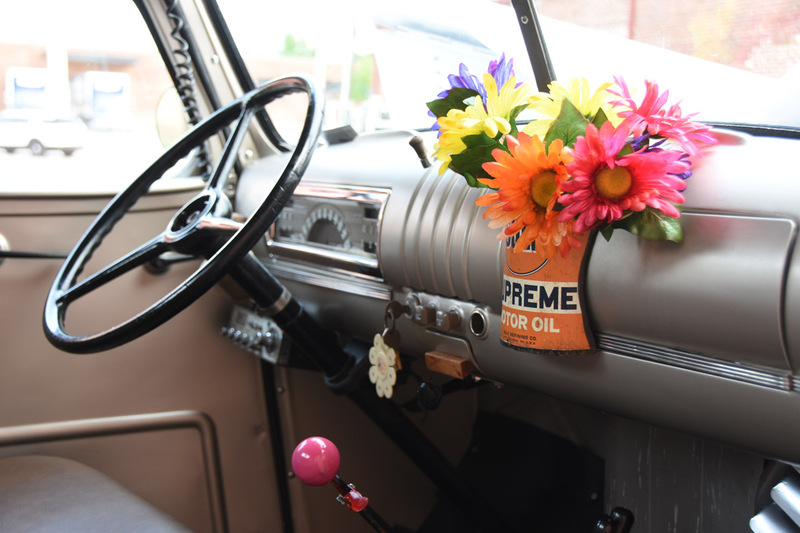 Since it was such a great cause, and a local one at that, Coker Tire provided the six vintage-looking Firestone tires and accompanying tubes free of charge. 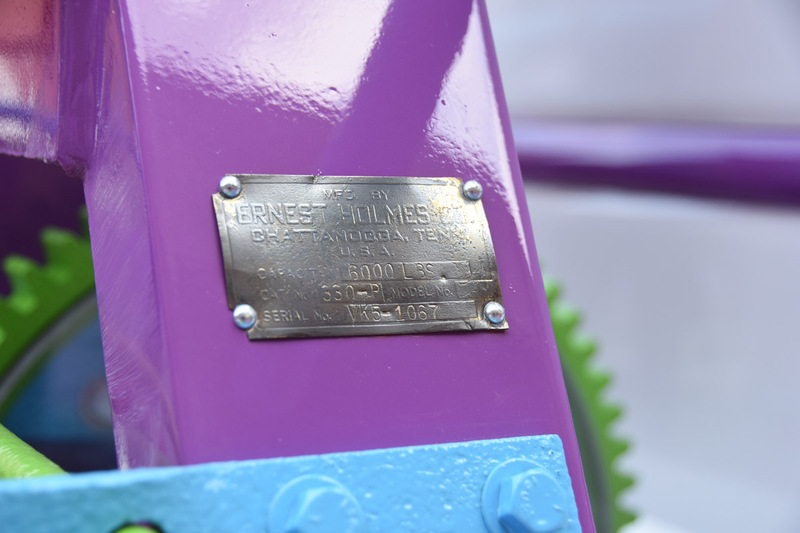 The restored wheels carry the white and purple color scheme. Knowing how much J.W. 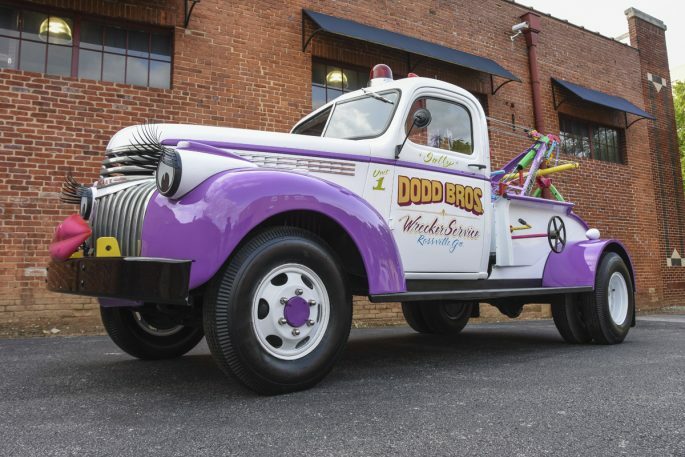 Dodd loved children, the permeant placement of his wrecker at the Children’s Hospital at Erlanger is a beautiful tribute to the legacy that he left with his family and friends. Mark, Jeremy and crew went above and beyond to restore the truck in record time, meeting a deadline to present the finished product at a charity event for the new hospital. Then, about a month later, the truck was lifted by crane into the second floor of the new building. Children will have full access to the truck, and will be able to turn the lights on and off, as well as operate the tow rope with the hand crank. Children and parents that visit the new Children’s Hospital at Erlanger will enjoy this piece of local tow truck history for many years and you can bet that ol’ J.W. is smiling down on this valiant effort by his son Mark, grandson Jeremy and friends in the community. Rough Start: Is This 1981 Ford Fairmont Futura In Your Future? 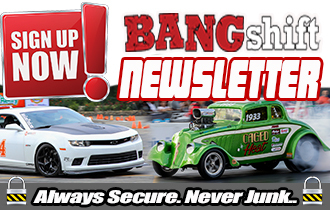 Low Flying Objects Ahead: Dodging A Car Hood On The Interstate Will Wake You Up! That is just too cool! Childrens hospitals have such a hard job, distractions form a vital role.